Kiara Advani has been posting videos from the shooting spot in Bangkok on her Instagram page and today, the actress posted saying the schedule has been wrapped up. Mega Power Star Ram Charan has now teamed up with ace filmmaker Boyapati Srinu for his upcoming film which is yet to be titled. The film is said to be an action-thriller and will have Ram Charan sporting a fit body and a stylish look. Bharat Ane Nenu actor Kiara Advani will be seen playing the leading lady in this film which is being referred to as RC12. 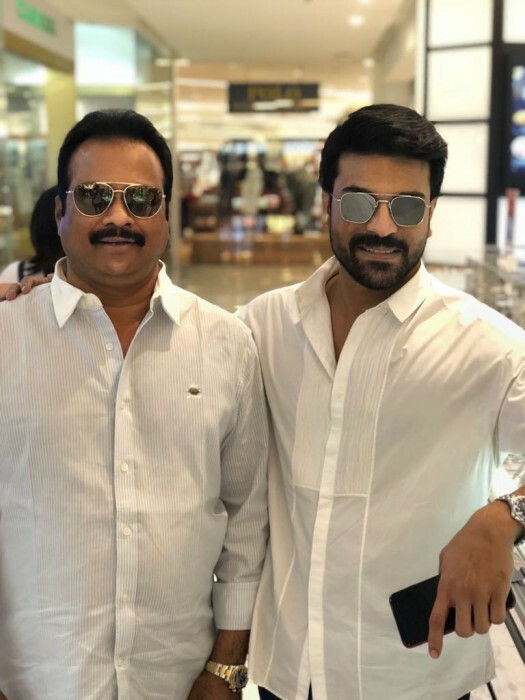 Ram Charan and Kiara have been shooting in Bangkok for RC12 for the last one week for few scenes involving the lead actors. The scheulde in Bangkok is now wrapped up and the unit will now head back to Hyderabad where major action sequences will be shot now. Kiara Advani has been posting videos from the shooting spot in Bangkok on her Instagram page and today, the actress posted saying the schedule has been wrapped up.